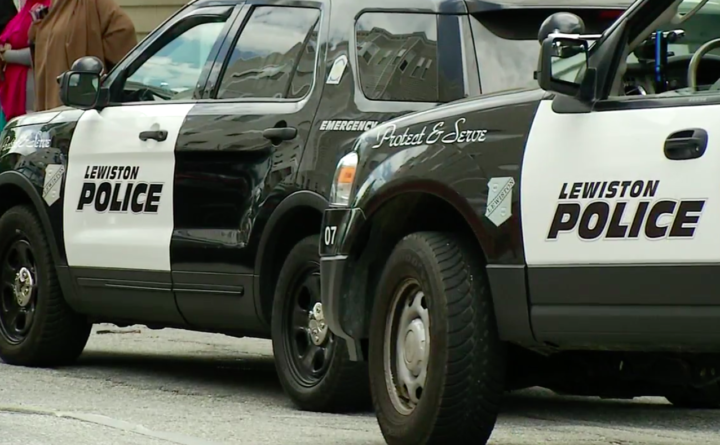 Lewiston police cruisers are parked in the city near Kennedy Park, where police and witnesses say nearly two dozen people were involved in a brawl Tuesday night. LEWISTON, Maine — One person is in critical condition, after police say more than two dozen people got into a fight Tuesday. “I couldn’t count how many [people] were jumping on top of me, but every time I went to get up and run away, they kept kicking me down,” William Heutz, who said he was involved in the fight and had scars on his hands and face, told CBS 13. The Sun Journal reports the fight happened Tuesday night at Kennedy Park in Lewiston. Lewiston resident Nicholas Vinciguerra says he and a group of friends had gathered at the park to settle a previous dispute when they were shot at by BB and pellet guns from a car. Vinciguerra says his group was then beat by about 30 people who had sticks, bats and pipes. One of Vinciguerra’s friends was hit with a brick. He was taken to the hospital. Police say they will enforce a 9 p.m. curfew at the park. Maine State Police are investigating the case because of severity the victim’s condition. Tensions continued Wednesday, when people involved in the fight Tuesday night confronted other residents in the area. Police were called to the scene and broke up the crowd. No one was hurt Wednesday, but emotions are high as people recall the events of Tuesday night. Neighbors who live near the park say they fear all the violence.